TGN IS PROUD TO INTRODUCE OUR NEW PRE-FILTERS MADE BY OUTERWEARS FOR THE DT1 LARGE SCALE R/C FILTERS. When DT1 teamed up with TGN to bring an exclusive line of foam filters to the Large Scale industry we knew you were going to want to protect your investment with a pre-filter. Using Terra-Flow standards Outerwears has designed this new pre-filter to protect your DT1 air filter and the inside of your power plant from dirt, debris, and water while allowing maximum air flow that Outerwears is known for. OuterwearsOutwears is known worldwide for their high performance pre-filter used on full size off-road trucks and motorcycles. They offer a full line of pre-filters and Shock covers for the entire R/C market and their quality is second to none. 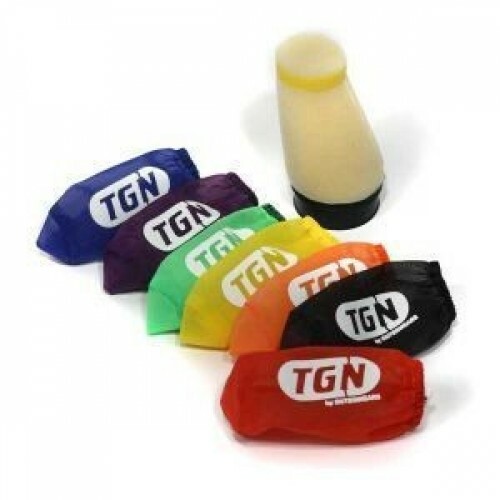 TGN is proud to be an authorized worldwide distributor for the entire R/C product line from Outerwears.